The FA Cup finals are upon us, and rivals Manchester United and Chelsea are apt to give spectators a grand show. Both sides will be aching to win the title in order to take away something from a season that has been bereft of glory. 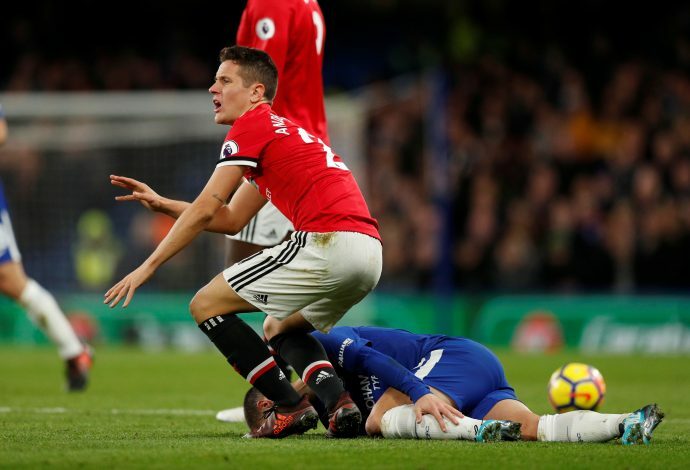 Manchester United, despite their 2nd place finish in the Premier League, seem to have still incurred the wrath of their supporters, who are accusing them of boring football. Chelsea, on the other hand, have been pathetic in their title defense, and even a win on Saturday may not ensure that Antonio Conte gets another year at the helm. The Red Devils’ injury concern for Romelu Lukaku remains, as Jose Mourinho claimed in his press conference that the striker will be subject to a late fitness test prior to deciding the final lineup. Martial, on the other hand, has been declared fit, and should Lukaku be unable to make it, the Frenchman could prove to be a vital part of the game. Else he’ll likely be used in his normal capacity as an impact substitution. United most probably won’t change the team too much, and Wembley favorites Sanchez and Lingard are apt to start as well. 4-3-3 with Pogba playing on the left has been their most successful formation so far, and this ought to be the case on Saturday as well. Conte will be eager to impress during this game, and appeared quite confident in his press conference. Chelsea will be without long-time injury concerns David Luiz and Ethan Ampadu. Fielding the best team might really come down to how Conte fashions his front-line. Morata has been in a mixed form as of late, and the link-up that Giroud and Hazard have been enjoying makes it likely that the former Gunner will be given the start at Wembley. Who will end up lifting the title on Saturday?